This beautiful beach takes its name from the fascinating red cliffs that form a backdrop to the endless stretches of sand you'll find here. 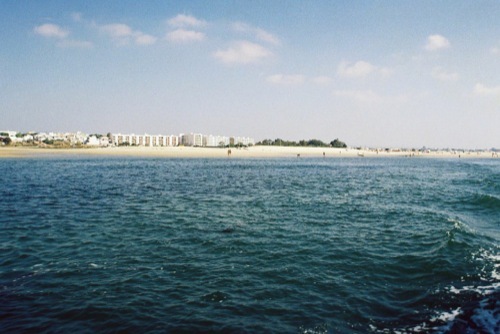 The beach is located west of Vilamoura (before reaching Olhos de Água) and there are several restaurants, as well as plenty of parking. 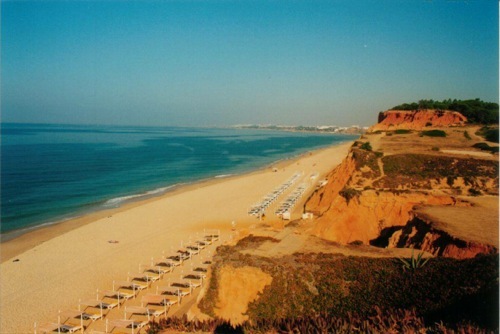 This gorgeous beach is located to the west of Albufeira and runs around the Bay of Armação de Pera to the town. There are plenty of restaurants and cafes for refreshments, and you can rent boats and participate in a range of watersports activities - an ideal spot for children and families. Amazingly, this jewel of a beach is completely off the tourist radar. 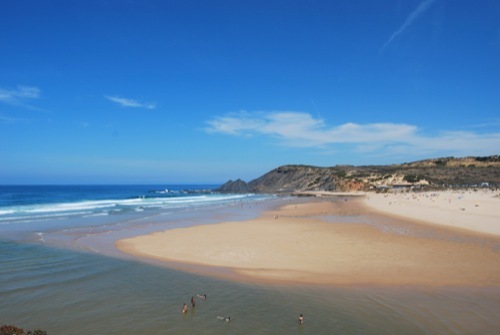 Tiny, with white sands between ochre rocks, it offers simply a rustic wooden bar above the beach. Head beyond the cliffs behind the beach and you'll find Suites Alba, which has great cuisine. This endless, golden, blue-flag beach is popular with families, thanks to calm seas, lifeguard and protective dunes behind the beach. There are sunbeds, sunshades and boats to rent, as well as great water-skiing. Dois Passos, one of the Algarve's best fish restaurants, can be found here. This white sandy beach nominated one of the 10 best beaches in Europe by the Michelin Guide, lies at the bottom of a rocky outcrop via several flights of stone steps. 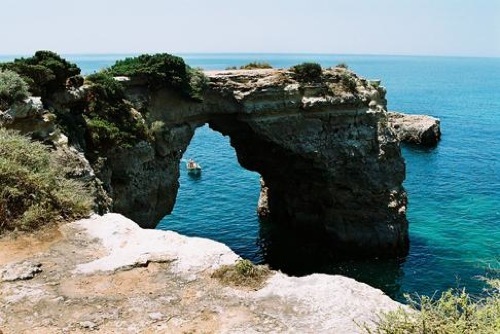 Praia da Marinha is one of the best places in the district for snorkelling, and boats depart from here to visit local caves. This piece of paradise is enhanced by a beautiful estuary. Full of tide pools that are home to local starfish and sea urchins, this makes it perfect for kids to explore. 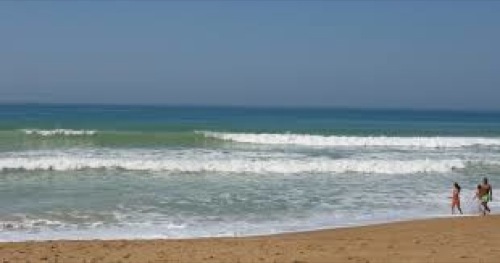 The surf is also excellent and there are several surf schools along the coast. A car is needed to get there, but it's well worth the drive. 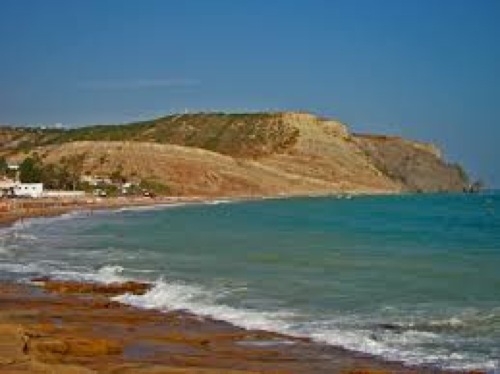 This is a perfect spot for surfing, and the beach is surrounded by a highly dramatic coastline. 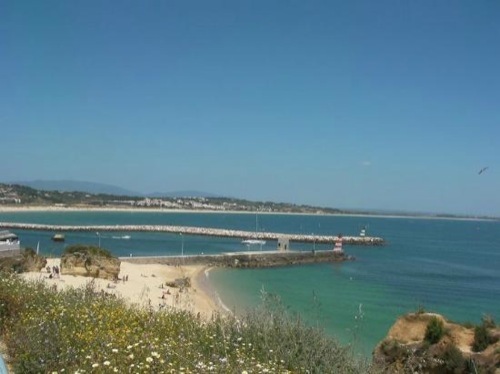 Situated in the north-west region of the Algarve, car parking is a short walk away from the beach, and a local café serves local dishes of black pork and fish of the day to hungry swimmers and surfers. 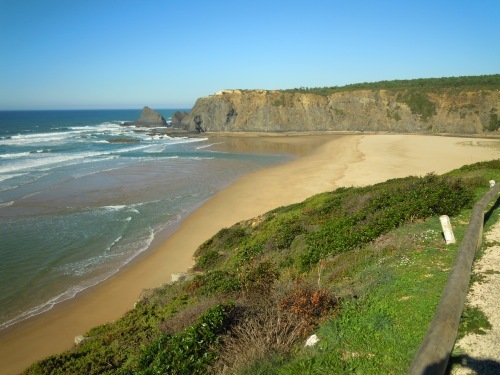 This beach is popular with windsurfers and surfers since it faces the open Bay of Lagos and is protected to the west by the promontory of Ponta da Piedade. The beach has plenty of beach bars serving refreshments and snacks, and this is a great place for a short stroll or long, leisurely walks. 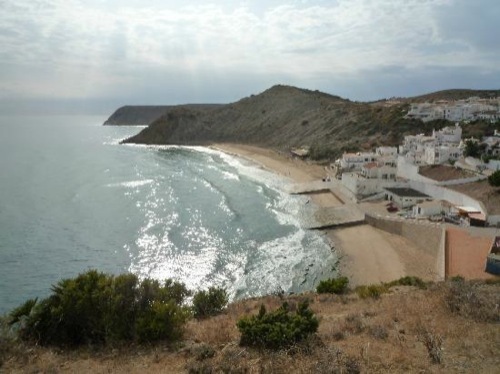 Praia do Burgau is beautifully clean, with golden sands, and there is a lovely restaurant overlooking the beach. In summer, it buzzes with activity, whilst in winter months, the beach is virtually deserted, and its sheltered bay is ideal for enjoying the peace and sunshine. This beach offers three glorious kilometres of uninterrupted sand, with sand dunes and nearby lagoons of warm water near the river mouth, where it's still possible to see otters. The beach is framed by lines of ancient pine trees that grow amongst the dunes and provide welcome shade in summer. 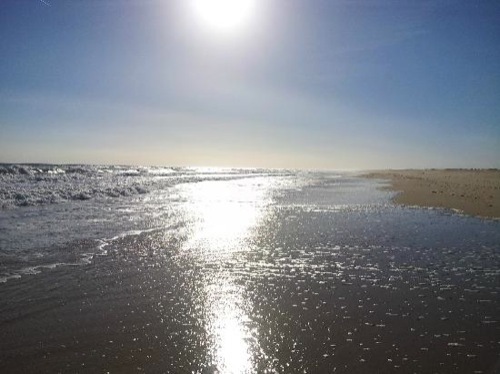 To reach this fabulous sandy beach, you need to cross a narrow footbridge across an estuary (Ria Formosa), then continue on foot or on the small tourist train until you reach the beach. 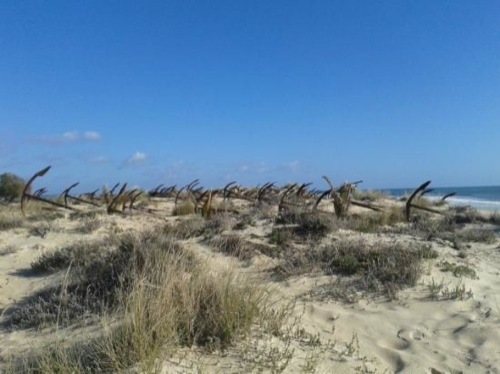 You can also visit the ‘Anchor Graveyard', where the tuna-fishing boats once fixed their large nets. You can reach this beach by a 15-minute ferry from Tavira, and you'll discover miles of white sand as far as you can see. 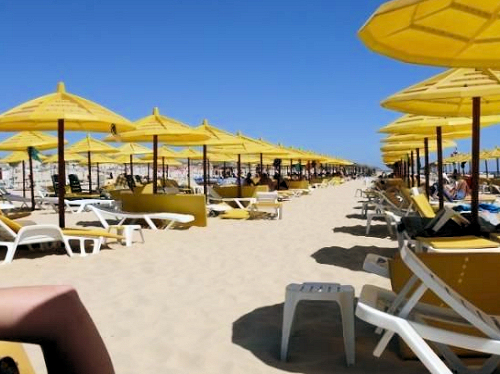 It's a beautiful, peaceful stretch of sand with plenty of bars and restaurants nearby - and for the more daring, there is a nudist section to the beach. 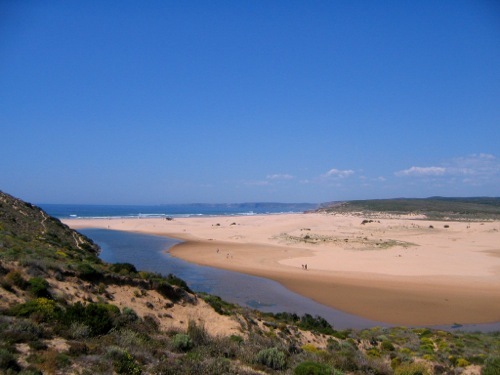 This extensive flat beach attracts both residents and holidaymakers all year round. The waters are some of the warmest in the Algarve, and it's easy to get to, plus there are plenty of amenities both on the beach and nearby. This beach is especially family-friendly and so is popular during the high season. 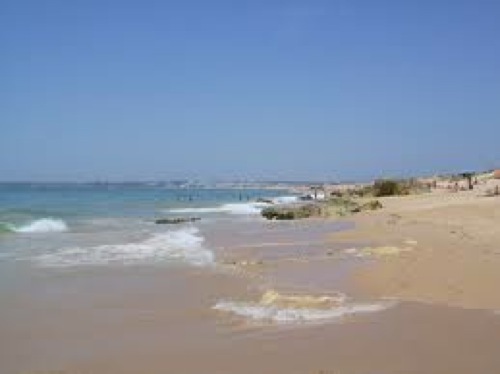 These beaches are mostly only reachable by boat and are therefore some of the quietest in the Algarve. Fuzeta itself is a delightful little fishing town and still retains an unspoilt charm. There are plenty of shells for children to discover in the shallow coastal waters, making it an excellent family destination.